→Sony HX80: Is This The Ultimate Travel Camera? 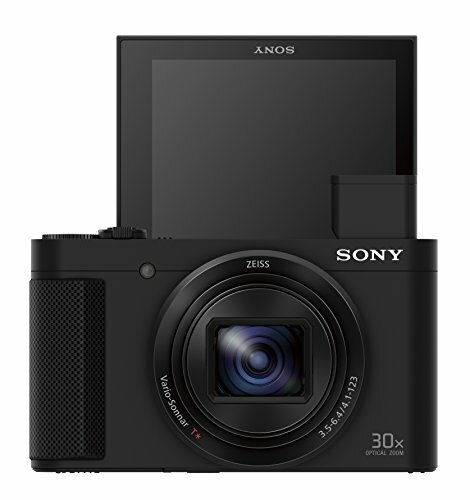 Sony is emerging as a major player in the digital photography industry offering a wide variety of mirrorless DSLR like cameras, as well as a number of excellent compact “point and shoot” cameras that are perfect for traveling. 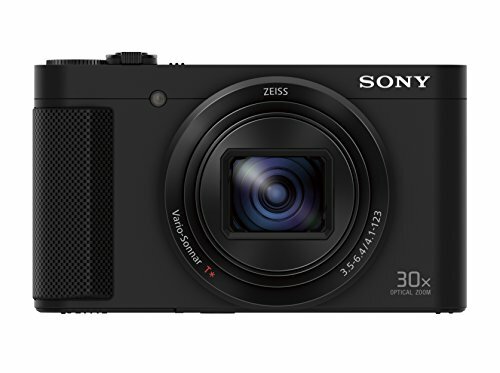 Sony’s impact in the compact camera market, which began with the original RX-100, has been very significant and has set a new standard for compact “point and shoot” cameras. This standard is so high that the major camera manufacturers have struggled to match Sony’s line-up of compact cameras. 3.1 In Conlusion: Is the Sony HX80 the Camera for Your Travels? 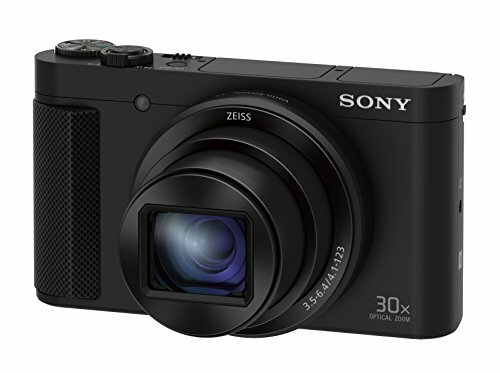 One of the most exciting compact cameras introduced this year is the Sony HX80, which is a follow up camera to the larger and technically more capable HX90 that was introduced in 2015. 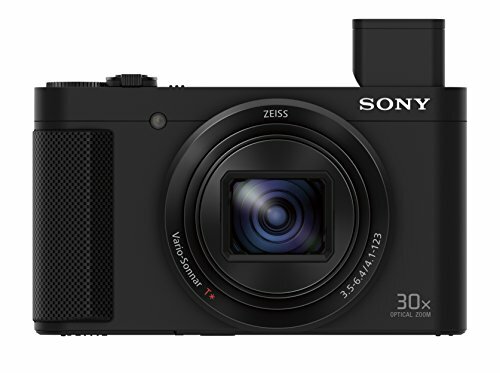 The heart of the Sony HX80 is the 1/2.3” CMOS sensor that measures 7.82mm x 4.55mm. Sony has a great deal of experience in manufacturing advanced digital sensors that are used in their own cameras, as well as other major brands. As a result, the sensor in the HX80 is quite advanced and offers excellent image quality in a wide variety of lighting conditions. Images are captured at a resolution of 18.2 megapixels, which is very respectable for a compact camera. The excellent image quality in the HX80 is also due to the excellent Zeiss® Vario-Sonnar® T Optical Zoom lens that has a maximum aperture range of f/3.5-6.4. Carl Zeiss AG is a well-regarded German optics manufacturer that was founded in 1846 and Sony has been using Zeiss lenses in many of their high-end point and shoot cameras for a number of years. The 30x lens has a 35mm lens equivalent range of 24mm – 720mm and also offers image stabilization, which is an important feature of any camera with this high of zoom range. The lens retracts into the camera body and a built-in lens cover protects the lens when the camera is turned off. While it is possible to compose images using the live view on the rear LCD screen, the HX80 has a compact electronic viewfinder that Sony calls an OLED Tru-Finder, which pops up out of the top of the camera when needed. The photographer will then extend the viewfinder to compose the image. The viewfinder provides 100% coverage; meaning that the image viewed in the viewfinder is exactly what will be captured when the image is shot. While the viewfinder provides information on the camera’s settings, care must be taken in extending and retracting the viewfinder, as it looks like it could be easy to break is care is not used. The camera uses a single autofocus point, which is responsive and focuses quickly and accurately. While it holds focus well, it is important to note that theHX80 is not a dedicated sports or action camera, so expectations need to be set accordingly. A feature that many will like is the face detection feature, which is very accurate in finding and locking focus. The image that is captured on the sensor is processed by a BIONZ X processor, which is advanced enough to allow the HX80 to shoot at 10 frames per second. While this is somewhat impressive, it is important to keep in mind that those 10 shots will need to be written to the camera’s single memory card before additional shots can be taken. Storage options include either SD, SDHC or SDXC memory cards as well as a number of proprietary memory sticks that will also work in the HX80. Images are saved as JPEG files as the HX80 does not have the ability to capture images in RAW format, which may be a problem for more advanced photographers that like to manipulate the image in “post production. The HX80 has a native ISO range of 80-3,200 but is expandable up to 12,800. As with other compact cameras, the HX80 produces the best image quality at reasonable ISO settings of 800 or lower. Above that range image quality suffers, as image detail is removed, as the noise reducing software removes noise. The most negative aspect of the image quality at high ISO settings is soft images and cartoon like colors. The HX80 has a rear LCD monitor that measures 2.95” and is tiltable up to 180°, making the camera great for “selfies”. In addition to being able to compose images in “live view’, the LCD screen also allows for previewing images, as well as navigating the camera’s extensive menu system using a number of dials and buttons found on the HX80’s plastic body. Most will find the camera’s menu system intuitive and easy to navigate without using the camera’s instruction manual. As far as settings are concerned the HX80 has the usual program, aperture priority, shutter priority and manual settings, as well as a number of scene, artistic and creative modes that are already programmed into the camera. These settings include 23 scene modes, which include Portrait, landscape, and sunset modes, as well as film simulation settings that include black & white, sepia and vivid settings. Some of these settings are available of the camera’s top dial, while others need to be accessed using the camera’s menu system. Due to Sony’s long history of developing video technology, it should be no surprise that the HX80 also has the ability to shoot video as well. The camera also features a pre-set button on the rear of the camera, which instantaneously begins shooting video in a variety of formats, including XAVC or AVCHD, with a frames size of 1,920 x 1,080 at speeds up to 60 frames per second. Video quality is impressive with files being recorded in MP-4 format. Other notable features of the HX80 include built-in WIFI and wireless capabilities, which allow the camera to interface with both a smartphone, as well as a tablet. These capabilities allow for remote operation of the camera, as well as sharing photos by simply touching the Smartphone or tablet to the camera! The one negative aspect of the HX80 is the lack of GPS capabilities, but ‘geo-tagging” photos I possible by interfacing with a smartphone. Now lets take a look at the technical specifications for the HX80. While ultimately image quality is the most important thing when selecting a camera, technical specifications are equally important and the Sony HX80 has excellent specifications. Lens Zeiss® Vario-Sonnar® T Optical Zoom; f/3.5-6.4. * Information from the Sony website, including pricing. In Conlusion: Is the Sony HX80 the Camera for Your Travels? Despite the slow shutter speed of 1/2,000 – 30 seconds, the HX80 is a great camera for traveling due to its small size and weight. Measuring 4.02” x 2.29” x 1.4” and weighing 8.64 ounces the HX80 is truly a camera that can you can carry in your pocket all day and not even notice that you have it. In addition, most people will not need to carry a spare battery, due to the long life of the NP-BX1 battery, which provides approximately 390 still images per charge. Photographers of all skill levels will appreciate the excellent image quality of the HX80, as well as the wide variety of focal lengths that the Carl Zeiss lens provides, making it really hard to image missing an important shot. The camera is also a great value at $349.99 (For the latest prices and discounts, check here), leaving more money to spend on other things including more traveling!